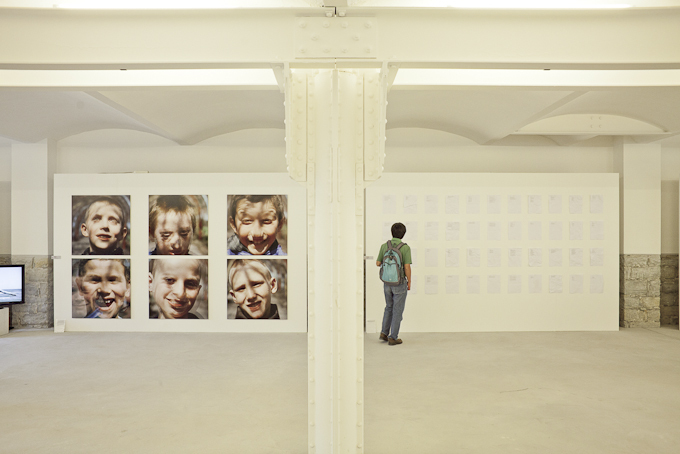 The Central European Initiative organises an international exhibition - for the first time as an own cultural activity – in cooperation with Trieste Contemporanea Committee. This extraordinary occasion for up-to-date information on the state of contemporary art in CEI Member States is offered back-to-back with the Biennale Diffusa of Friuli Venezia Giulia, thanks to the strategic relevance of the city of Trieste for the dialogue with Eastern Europe. As the executive level of the CEI Secretariat noted, this is the message to be delivered to the wider public which will visit this outstanding cultural show enjoying the magnificent area of Porto Vecchio and imagining the future modalities of its return into the everyday and future life of Trieste. Trieste Contemporanea, sharing these goals which are also at the core of its action in the field of contemporary art of Eastern Europe since 1995, has contributed – through its international network of experts and with the assistance of the Italian Embassies in the CEI countries – to the selection of artists of various background and age. Compared to the many other regional exhibitions that Vittorio Sgarbi has developed in connection with the Italian Pavilion in Venice, the international significance of Trieste’s event is unique. The peculiar purpose of this exhibition is stressed by the fact that all of the artists – many of which for the first time in an international environment – have an Italian experience in common: some have studied in Italy, some have worked here developing a remarkable career, some have even decided to live in Italy, many of them speak Italian and will compare their experience to that of other artists which have gone the opposite direction. The overall picture of the artistic offer is highly stimulating. From the extraordinarily human painting of Edi Hila, the father of the young generation of Albanian talents nowadays on the international scene, to the intimate notes on metal of the Montenegrin artist Jelena Tomasevic, living between Podgorica and Berlin. The photography section counts on the extraordinary reporting that Iljia Soskic made in 1975 nine hours after the murder of his friend Pier Paolo Pasolini at the Idroscalo swamp as well as the disturbing images of children inhaling glue that launched the Ukrainian Sergey Bratkov as the enfant terrible of contemporary photography. Among the videos those of Dalibor Martinis, leading artist in the Croatian scenery, and Carloni&Franceschetti, better known as the directors of the video version of the play Tragedia Endogonidia by Raffaello Sanzio Socìetas, but also excellent reporters from Bosnia and Herzegovina and its border countries. Great is the impression of HR-Stamenov’s video in which a train is swallowed up by a strange light on Bulgarian rails… Much more will be available at Magazzino 26: so far Giuliana Carbi, curator of the Trieste exhibition, confirmed the presence of about 30 artists from 17 European countries. The exhibition is promoted by CEI (Central European Initiative) with the scientific consultancy of the Trieste Contemporanea Committee. It is organized in cooperation with Associazione Culturale Biennale Portovecchio and Portocittà srl, in the framework of ‘Biennale 2011. Lo stato dell’arte. 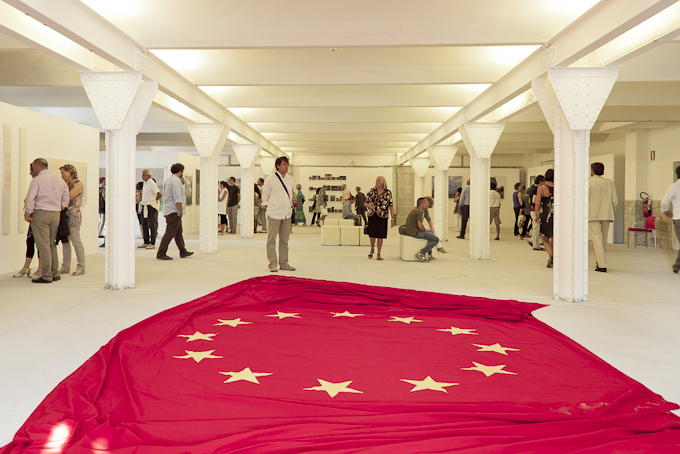 Friuli Venezia Giulia’, promoted by the Italian Pavilion at the 54th International Art Exhibition– La Biennale di Venezia, curator Vittorio Sgarbi. Aleksandrija Ajdukovic SERBIA, Dejan Atanackovic SERBIA, Rok Bogataj SLOVENIA, Sergey Bratkov UKRAINE, BridA / Jurij Pavlica, Sendi Mango, Tom Kersevan SLOVENIA, Cristiano Carloni & Stefano Franceschetti ITALY (BOSNIA), Pablo Chiereghin ITALY (AUSTRIA), Nemanja Cvijanovic CROATIA, Radu Dragomirescu ROMANIA, Igor Eskinja CROATIA, Petra Feriancova SLOVAKIA, Edi Hila ALBANIA, Tamas Jovanovics HUNGARY, Ivan Kiuranov BULGARIA, Dalibor Martinis CROATIA, Zivko Marusic SLOVENIA, Timea Anita Oravecz HUNGARY, Svetlana Ostapovici MOLDOVA, Eugenio Percossi ITALY (CZECH REPUBLIC), Karin Pisarikova CZECH REPUBLIC, Michal Powalka POLAND, Stefano Romano ITALY (ALBANIA), Ilija Soskic MONTENEGRO, HR-Stamenov BULGARIA, Oleg Tcherny BELARUS, Jelena Tomasevic MONTENEGRO, Veronika Tzekova BULGARIA, Vana Urosevic MACEDONIA, Adam Vackar CZECH REPUBLIC, Sasha Zelenkevich BELARUS, Driant Zeneli ALBANIA.